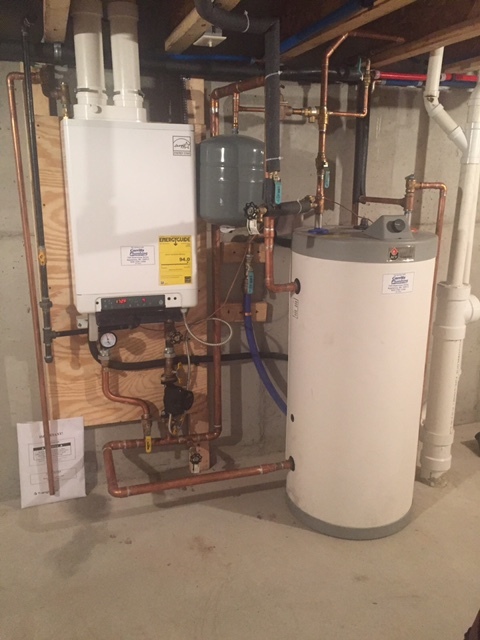 Typically when homeowners inquire about high efficiency solutions for space heating and hot water applications, they are quickly confronted with the inescapable reality of a higher upfront investment. Although there may be an evident interest in reducing overall operating costs and utilizing a much more environmentally friendly option, the price point for some is just not feasible. In many of these cases, homeowners end up settling for less by compromising on efficiency in order to remain within budget, thus paying more in utility costs. With these factors in view, ACV Triangle Tube, manufacturer of high efficiency boilers and hot water tanks, created the perfect pairing, to deliver on value and performance for the cost sensitive, energy conscious consumer; the Challenger & Comfort bundle. By combining the Comfort indirect fired water heater with a high efficiency condensing Challenger Solo, users get more hot water using less fuel at a great value. Aside from the perk of saving up to 15% by bundling, homeowners enjoy additional benefits such as low maintence through our self-descaling design and the lowest pressure drop in the industry thanks to our exclusive “tank-in-tank” technology. The simplicity of the Challenger’s design coupled with its compact size makes for easy installation, maintenance, and troubleshooting all while reducing your overall footprint. The result is significantly higher efficiencies without compromise. In fact, domestic hot water is always hot and ready with very little standby loss. To learn more about how you can safe with our bundle option, contact your local ACV Triangle Tube sales rep today!